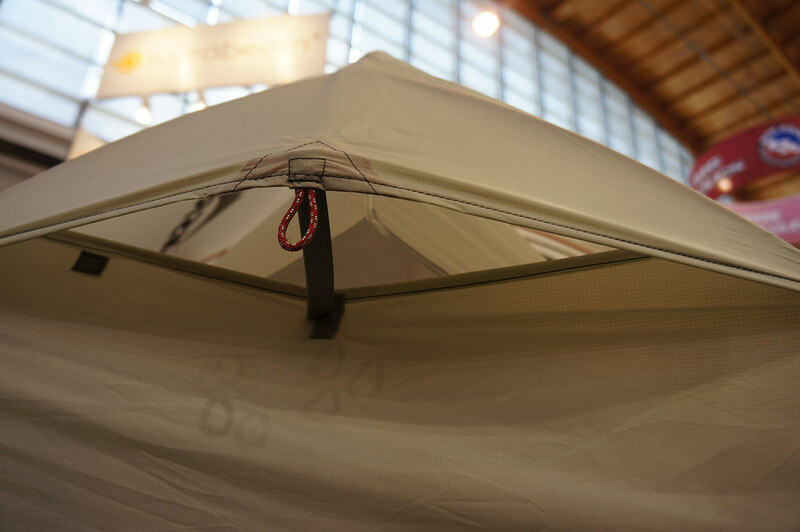 With over 900 exhibitors, there’s plenty more new gear to come! 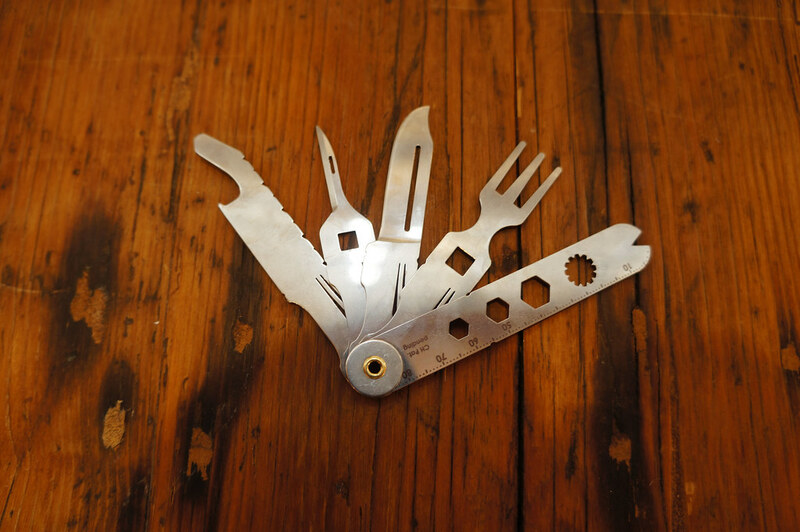 The Swiss Advance Pocket Knife weighs 38 g and you can take it inside an airplane cabin, as I tested on the flight home. It surprised me a bit - the knife is hellishly sharp and the Bradawl looks also like something that could hurt, but the security personal in Zürich was more concerned that the bottle opener might not be adequate. 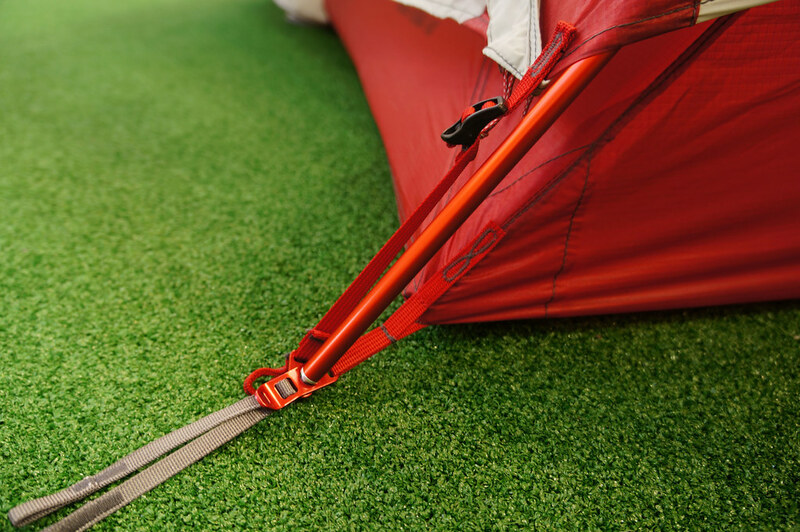 It’s a versatile tool with 15 functions, something that can easily come along on a hiking or cycling weekend trip. 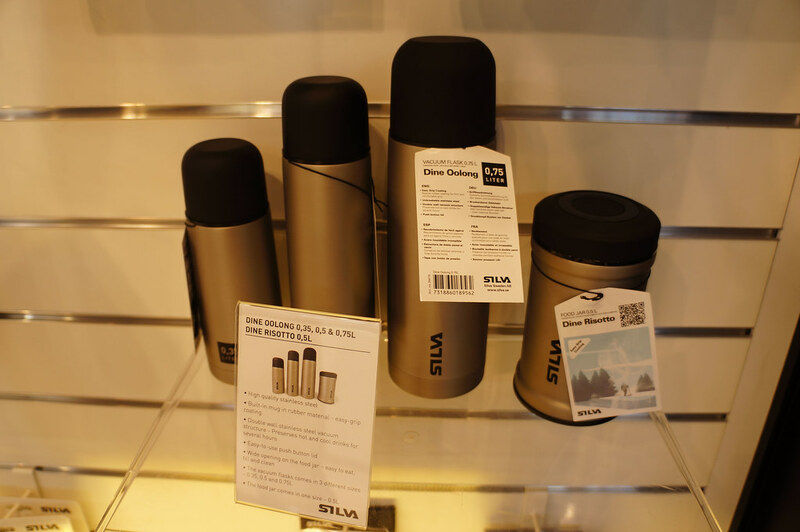 The Swedes had many different items on their booth, but the flask looked very interesting to me (soon it’s winter again). Double stainless steel design, the cup has a rubber outer for easy holding and sizes from 0,35 to 0,75 l. No idea on weights, but they felt light-ish. Visiting Optimus is always nice. 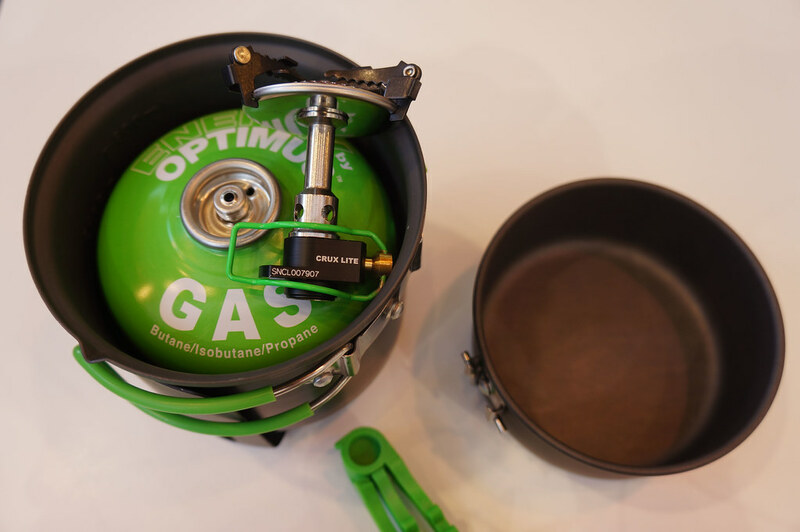 After all they made the Svea stove and the Optimus Crux, which looks like the USS Enterprise when folded (consider it entertainment on starry nights). 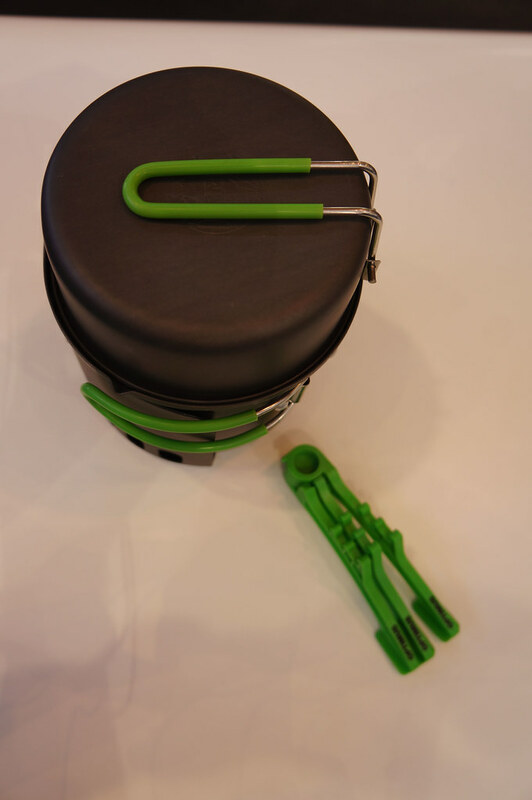 The Crux Lite Piezo is their newest stove, which, as the name suggests, a Piezo ignition. For people who like to forget their lighter and matches at home, a god-send. 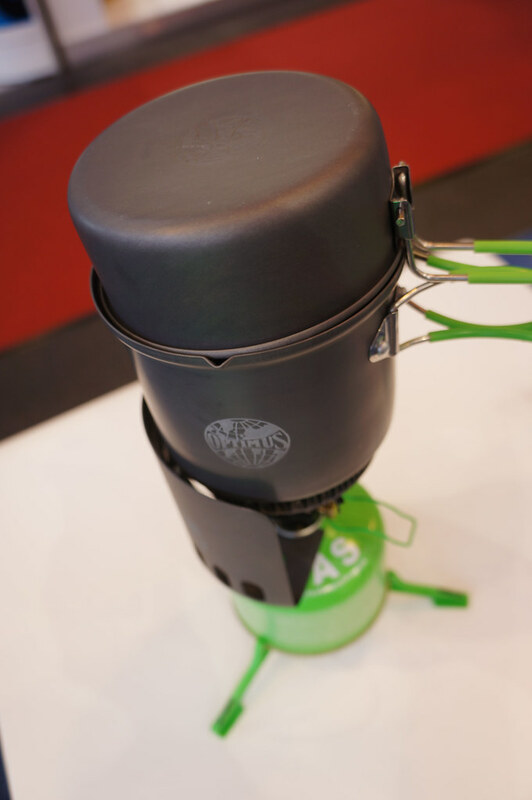 The Elektra FE system now comes with a wind shield and a canister foot, including the Crux Lite Piezo, and makes the whole system more fuel efficient and faster to start. It’s a good, compact system which surely will find a lot of friends. 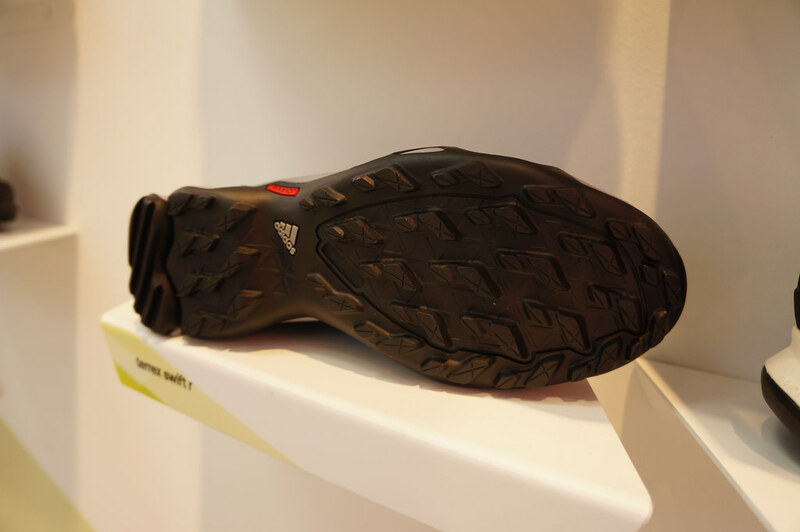 Adidas, after buying 5.10 last year, has now access to that companies Stealth Rubber. 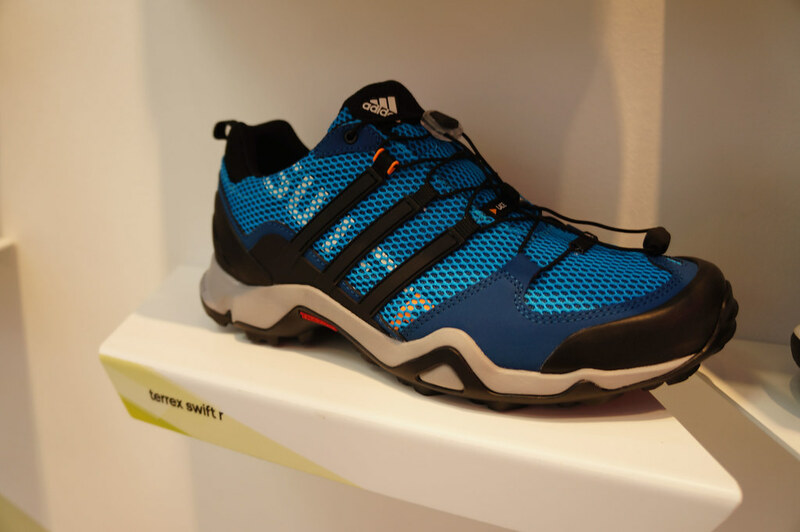 It has been used in a number of new approach shoes from Adidas, and the terrex swift r and terrex swift r gtx looked like decent shoes with a good profile. 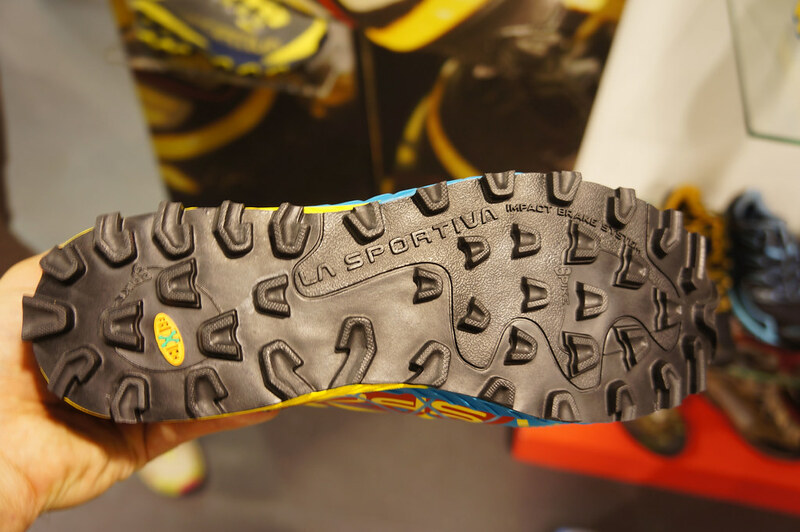 A big player bringing out good shoes is always good, as it allows a wide audience to try & buy the shoes in physical stores, slowly transitioning the boot wearing public to lightweight footwear! Staying charged on the trail is something that most everyone who carries his smartphone into the wilderness is thinking about. 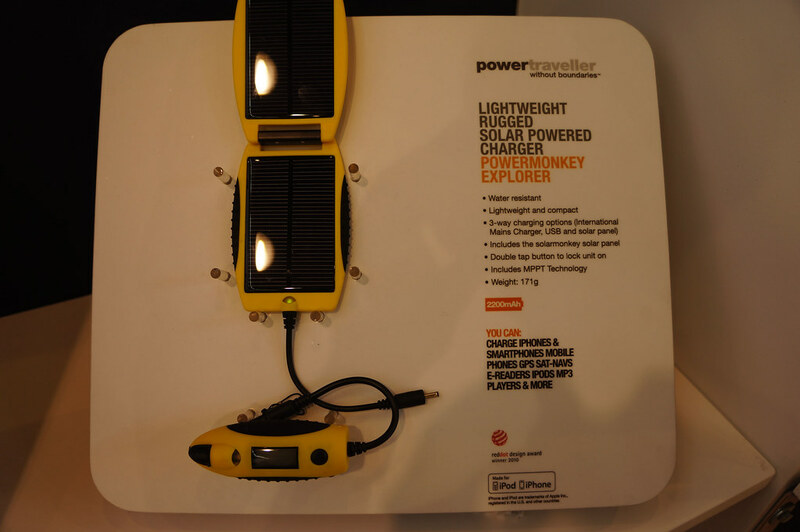 power traveller is the first company whose products I have used who actually are able to charge an iPhone on the trail. 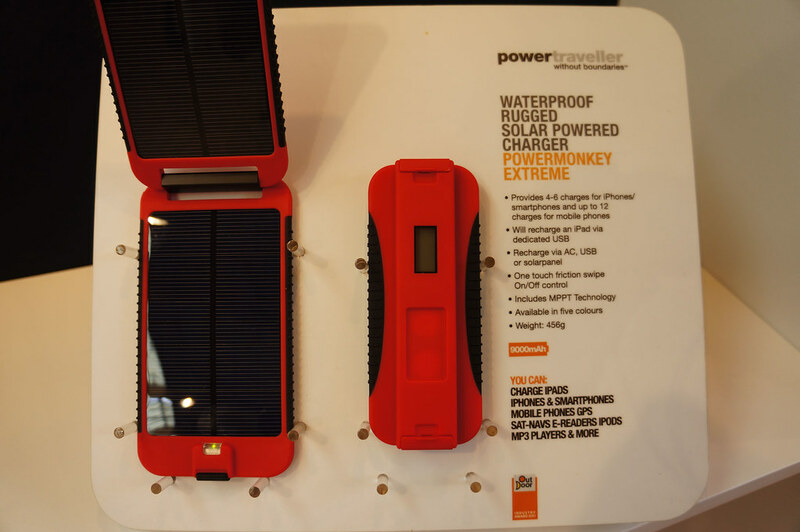 The PowerMonkey Explorer is 171 g and the PowerMonkey Extreme is 456 g - both will keep your smartphone (and the latter also will keep your iPad and DSLR, as well as a host of other gadgets) charged when you’re far away from the next power outlet. Expect a review on the PowerMonkey Extreme in the near future. 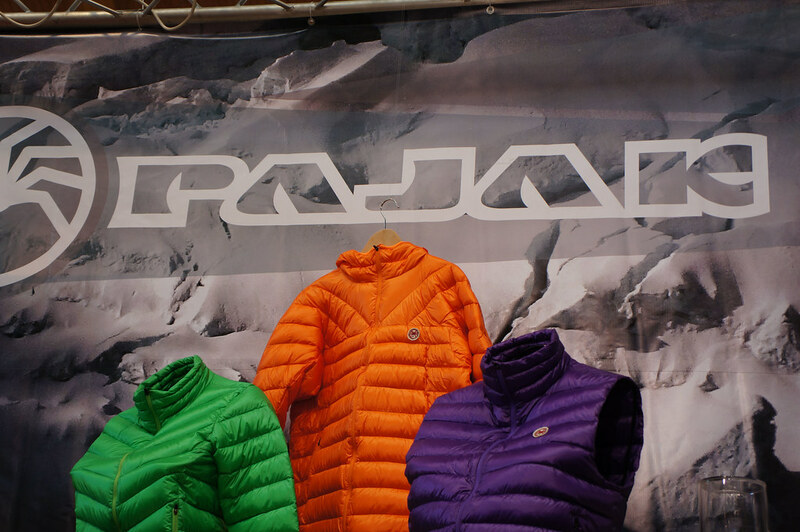 Pajak is a Polish company which already since 30 years produces high quality down products and backpacks. 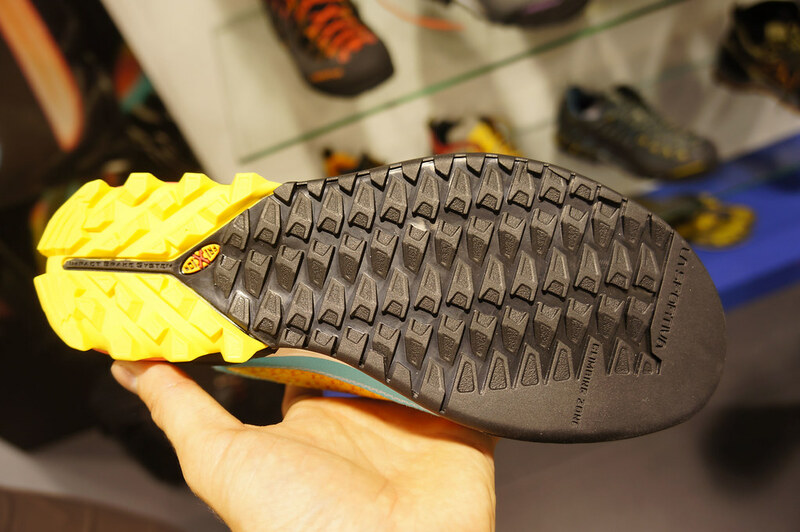 The XC3 is their UL backpack (weighing in at 780 g), which uses siliconized Cordura to make it waterproof and durable. 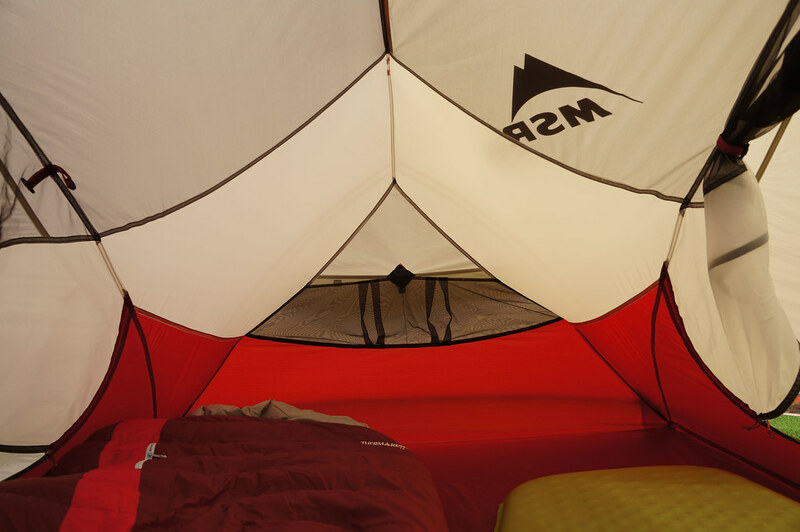 A waterproof zipper on the side lets you access gear quickly. 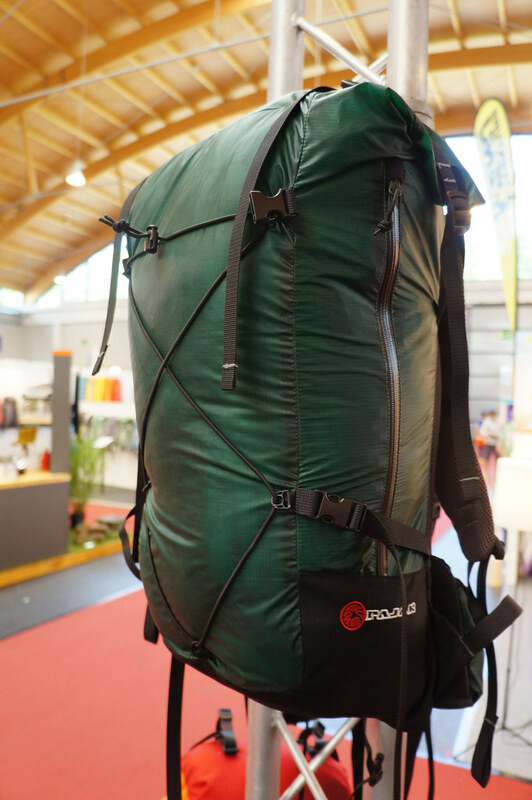 42 l volume and a good looking carrying system, you’ll read more about this pack here in the future. 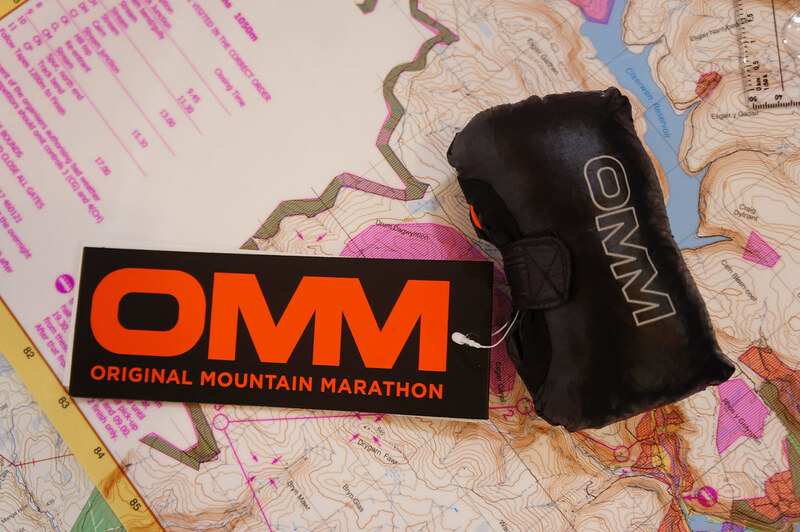 I was very excited to meet the guys at The OMM. 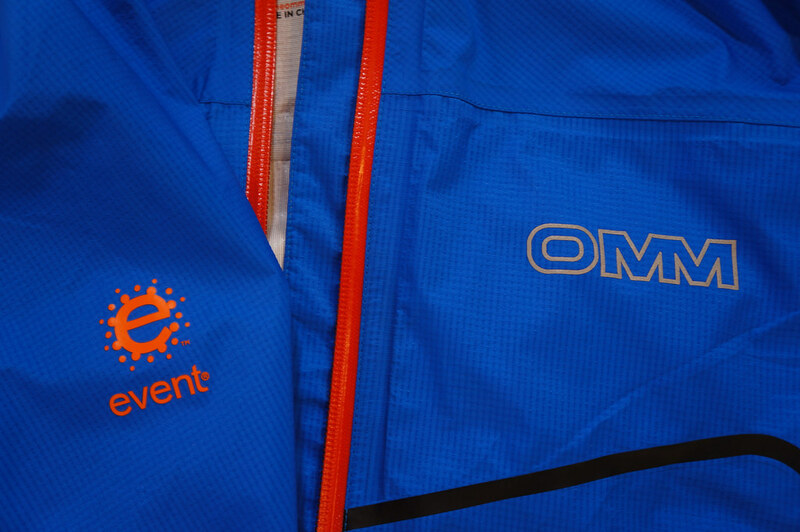 Not only do they have a great event, they also make superb garments for fell & trailrunners (and backpackers). The Aether Smock and Jacket use the latest eVent 3L fabric, and weigh in at just 200 g and 245 g respectively. Great cuts and colours, with thumbloops and an internal pocket on the Smock and two welded pockets on the jacket, these should proof to be very popular when they hit the stores. 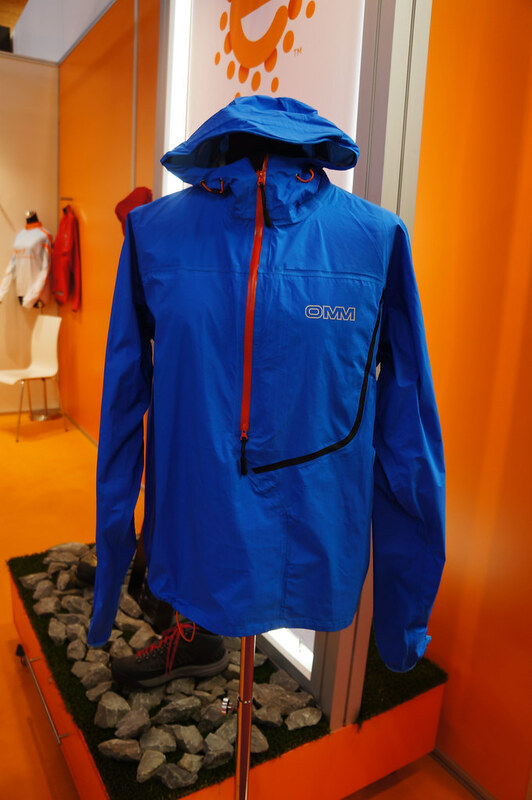 Also very popular will be the Sonic Smock, their windshirt which comes in at 52 g. It uses a fabric called Point Zero, comes with thumbloops, reflective details and packs into its collar pocket. Yes, yes, it will be popular. 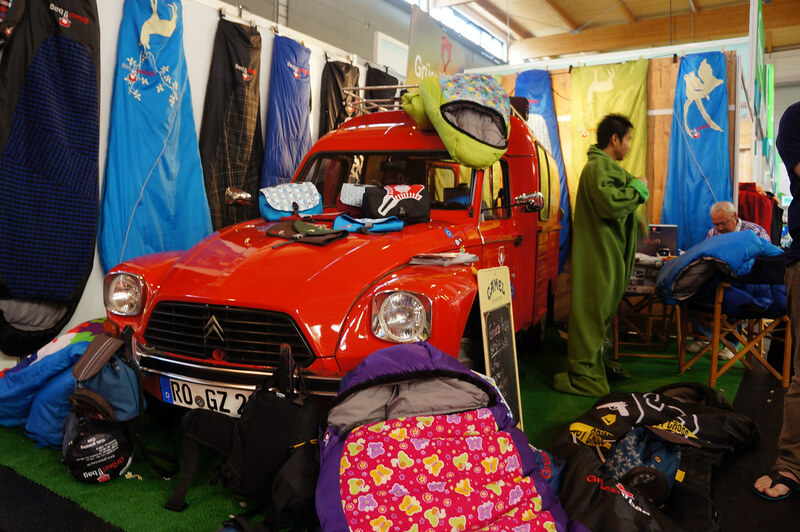 Grüezi bags hails from Bavaria and make sleeping bags with a twist. Not lightweight, but if you go camping with the family it may be a bit heavier and more comfortable =) Their kids model grows with your little one, and should suit them from 100 to 155 cm tall. Add in that it comes in various nice colours and you’ll see that sleeping outside will soon be your offspring’s new favourite past time! 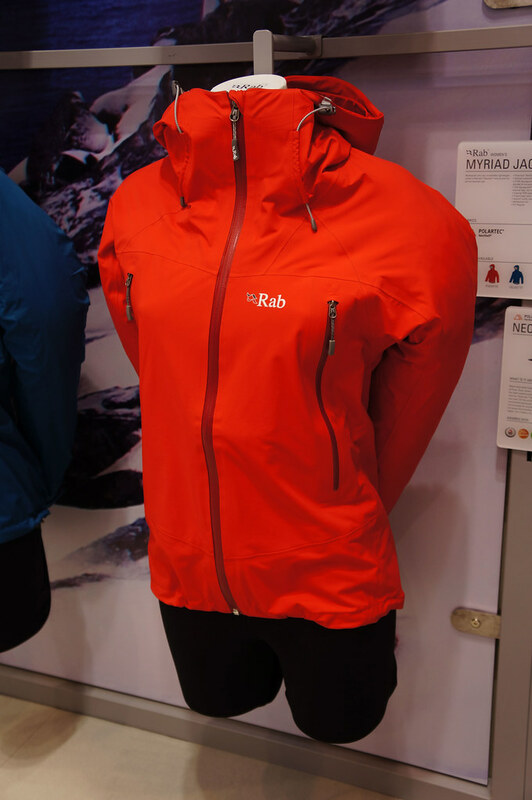 Rab has a fantastic new line for 2014, and there is plenty of gear which will have you start saving your €s. 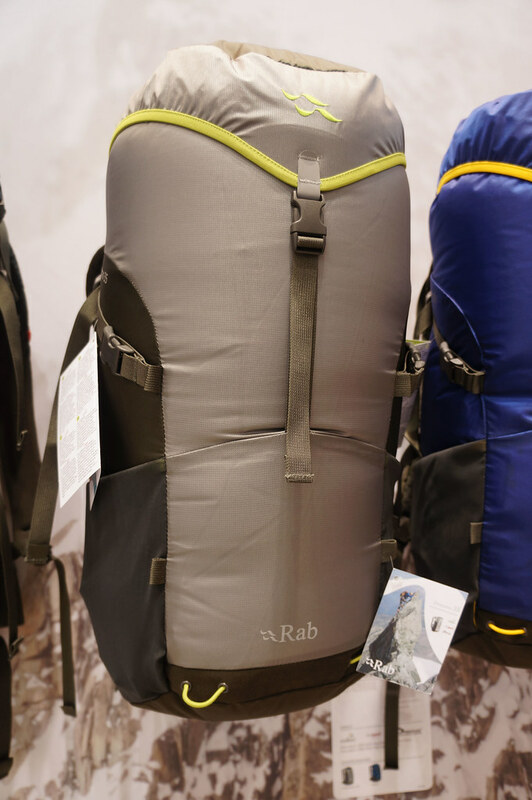 Backpacks are the big news at Rab. Yes, backpacks. Those things we carry on our backs, where you put gear in. 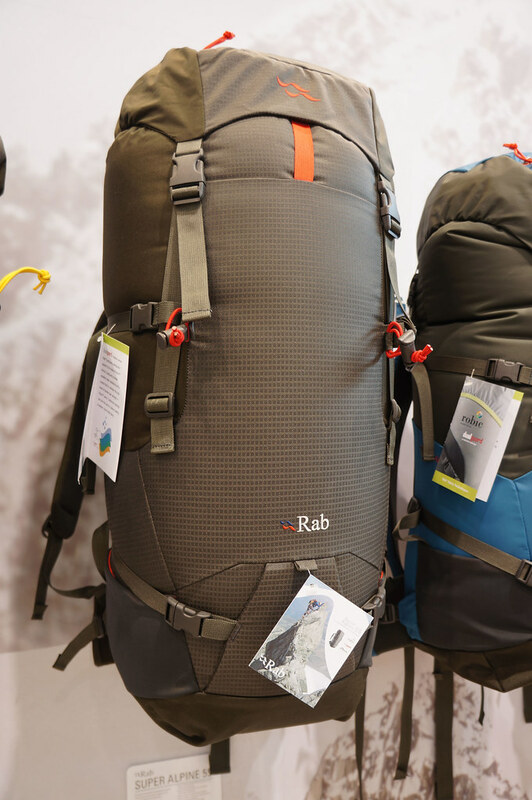 Rab’s mother company also owns PodSacs and Lowe Alpine so has access to a lot of knowledge when it comes to rucksacks, and hence their new packs should be rather good. The Alpine 55 pack is something for climbers and mountaineers, a nice streamlined pack which carries your climbing gear, is durable and has an extendable lid. At 1600 g it’s a bit heavy, but can be stripped don to 900 g.
The Dynamo 35 is a 940 g, 35 l volume top loader, which carries your ice axe or trekking poles, has hipbelt pockets and stretch side pockets. 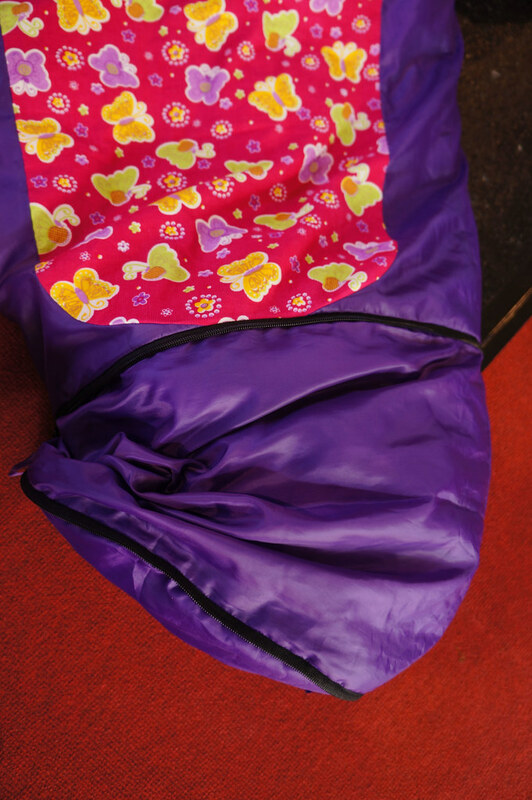 It compresses nicely, and will be very durable thanks to the used Robic™ fabric. 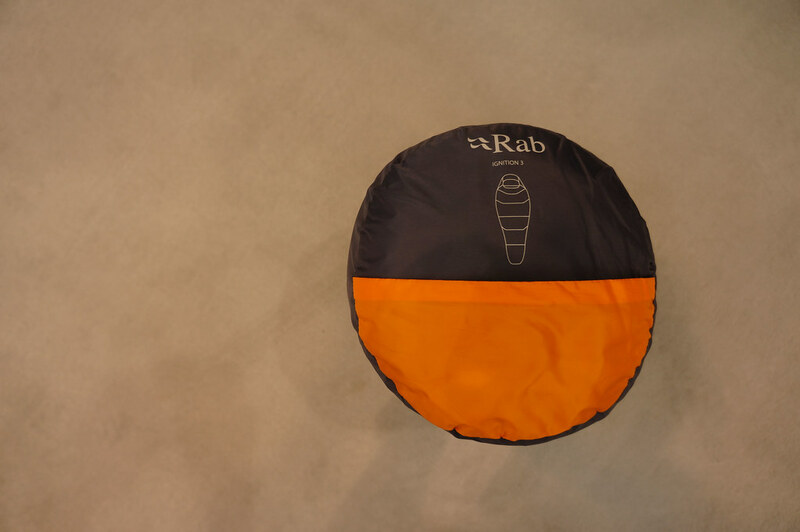 Sleeping bags is what Rab started out with over 30 years ago, so they have quite a bit of knowledge in that area. 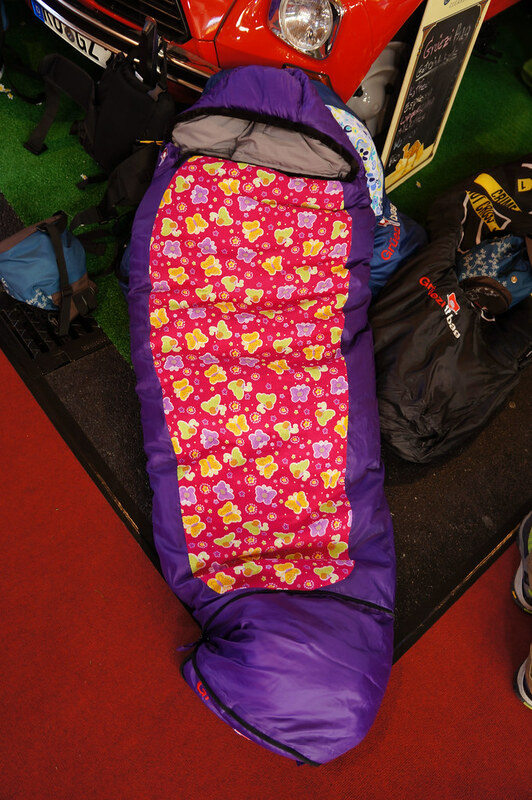 The down sleeping bags will be using hydrophobic down from next year on, which uses Nikwax technology (which is Fluocarbon free!). 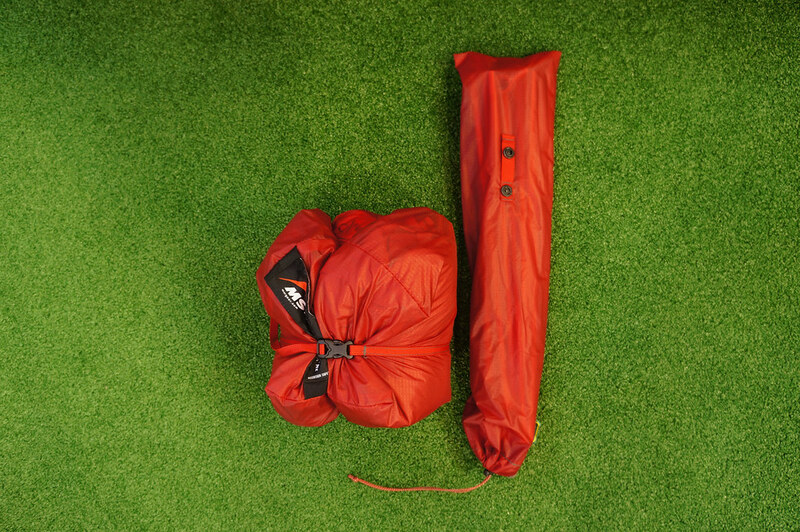 Down bags have become lighter and smaller in pack size without losing any warmth, so if you’re a down sleeping bag user this will have you very excited! 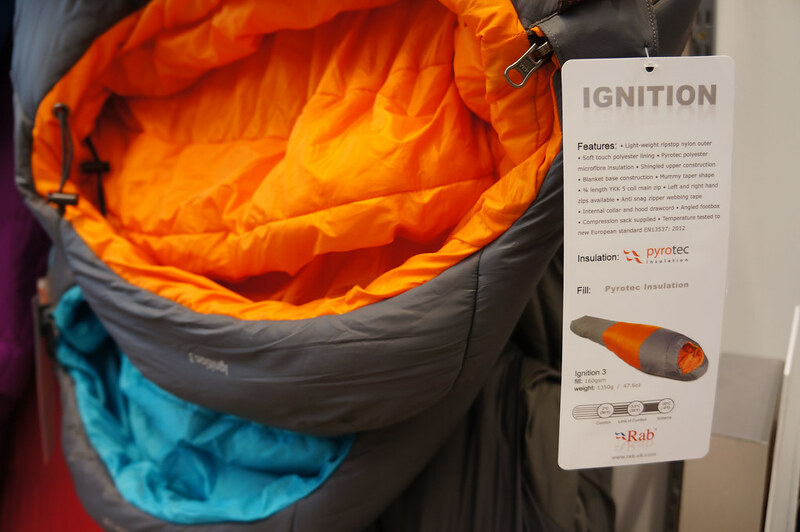 The synthetic bags from the Ignition series use a material called Pyrotec which has a good warmth to weight ratio. 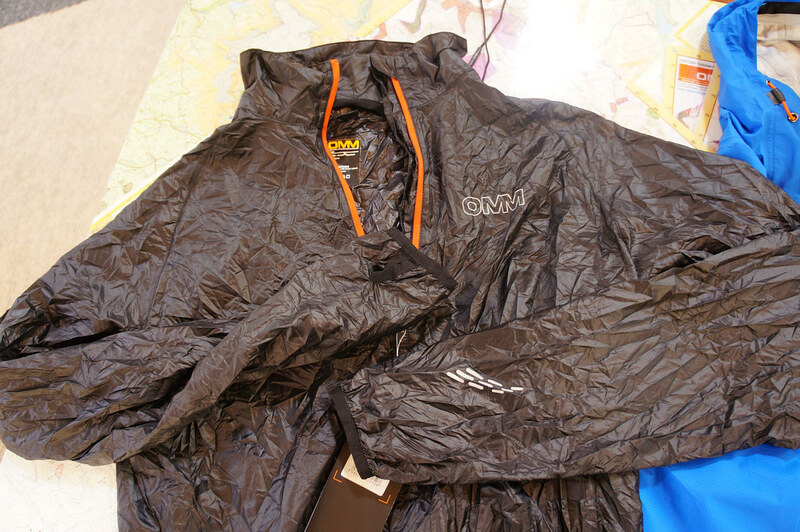 The lightest synthetic bag is 1050 g and keeps you warm till 5°C. Good stuff! 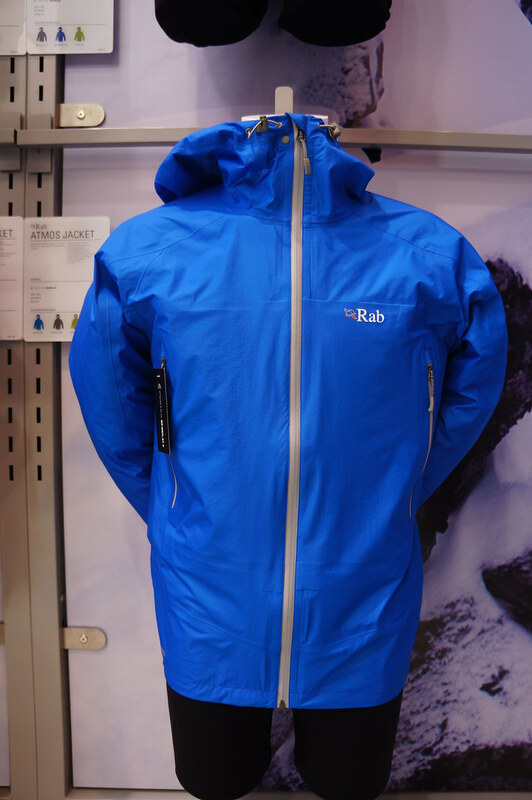 Garments is what we all love from Rab. The 375 g Newton jacket (build for Mr. Newton) is a 3 Layer eVent jacket with a helmet compatible hood, two zip pockets and Velcro cuffs. Kiwi green is a rather sweet colour, too. 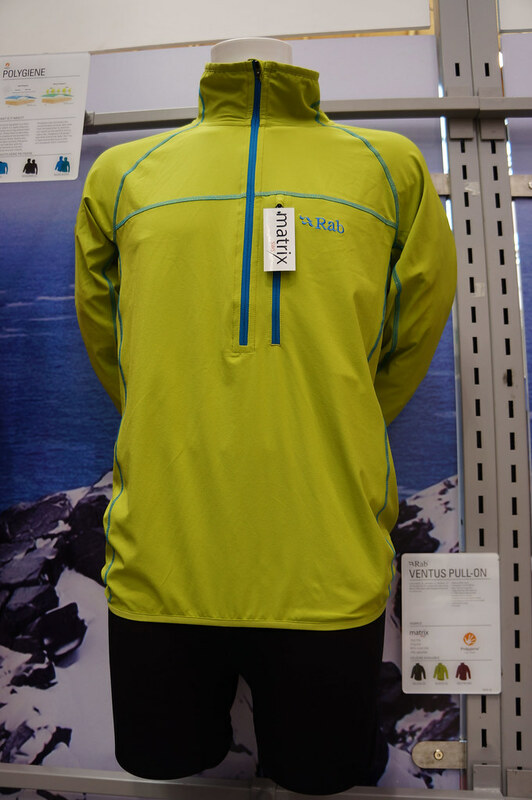 The Myriad jacket is Rab’s newest NeoShell jacket and already available in stores. 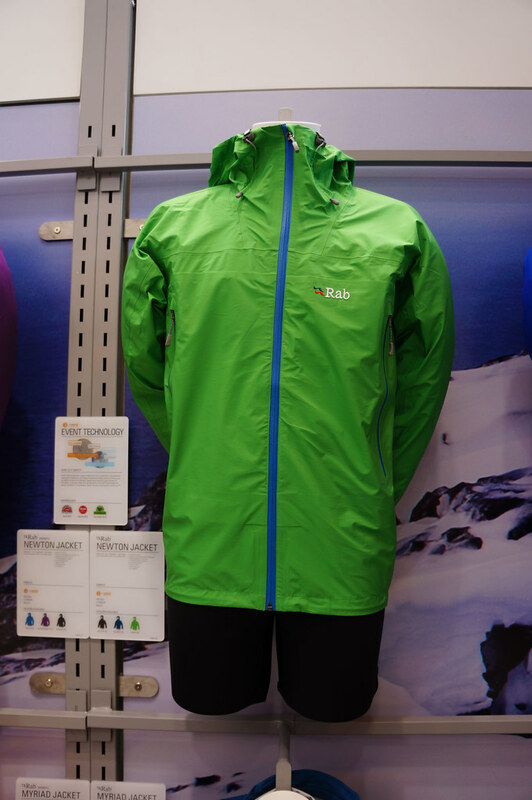 This 410 g jacket comes with a climbing/ mountaineering feature set - high pockets, helmet compatible hood with wired peak, and an internal pocket. 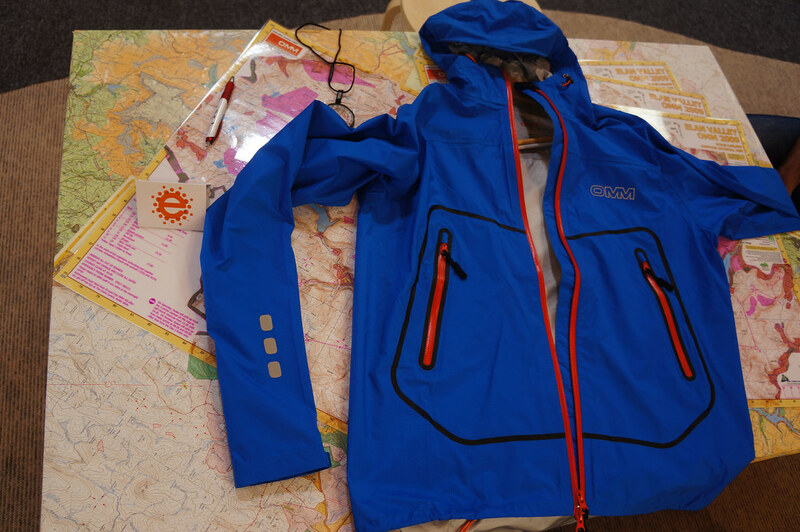 The Atmos jacket comes out in 2014 again, and uses Pertex Shield+ in a 3L version. At 300 g with a minimal helmet compatible hood and high pockets this is a nice lightweight jacket which you can carry with you in case of bad weather. 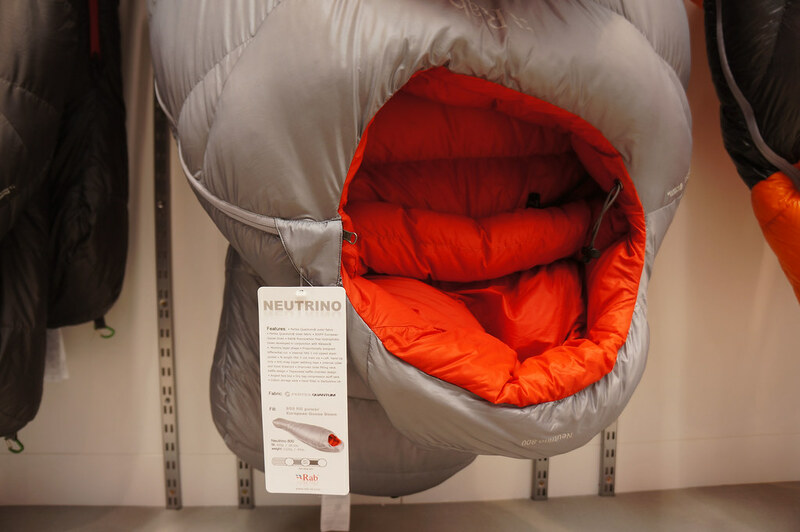 The Ventus Pull-On uses Matrix SWS fabric with a Polygiene treatment to keep away the smell, has a deep chest zipper and a pocket. 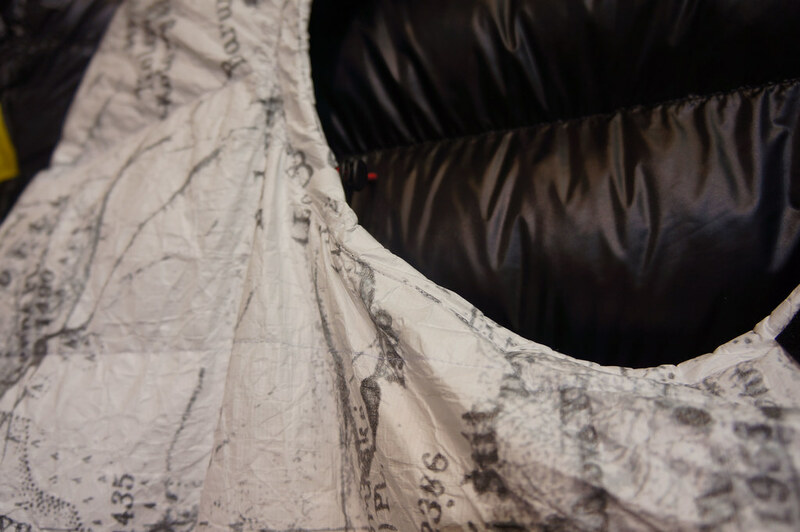 Thumbloops and a slim fit for 250 g could make this a popular midlayer. 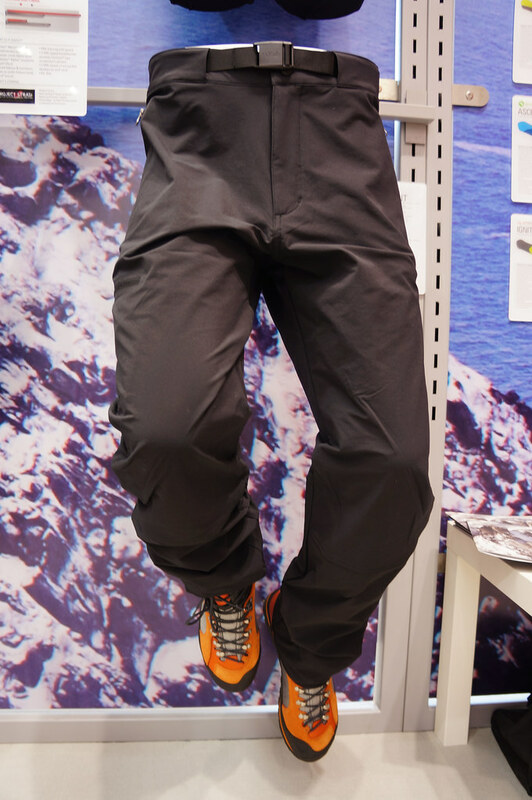 The Rab Vector are a softshell pants which use the Matrix DWS fabric. Articulated knees allow for freedom of movement, zippered pockets keep your stuff from falling out, and at 450 g its also a good weight. The webbing belt is a good design, you actually can adjust the tightness in this design and store the excess length away. The Award for the most comfy looking trousers goes to the Capstone pants, though. 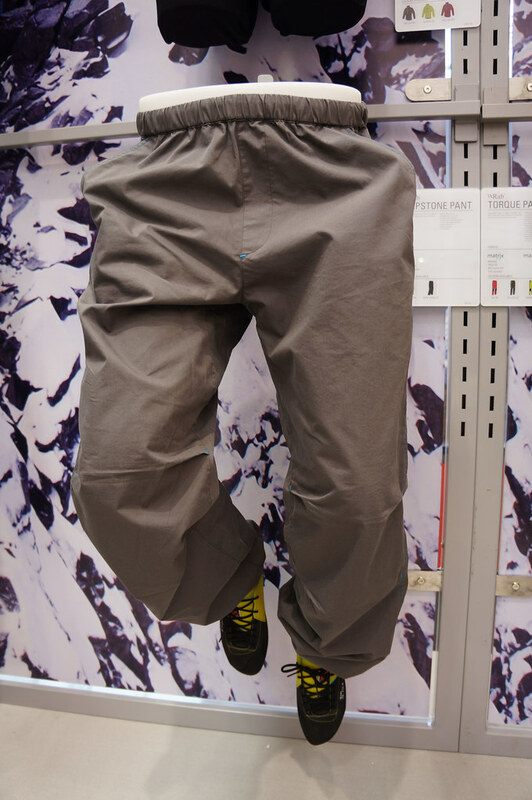 It’s a poly-cotton pant designed for bouldering and climbing and does look stylish enough to wear to the office, allowing you to hit the crag right afterwards. 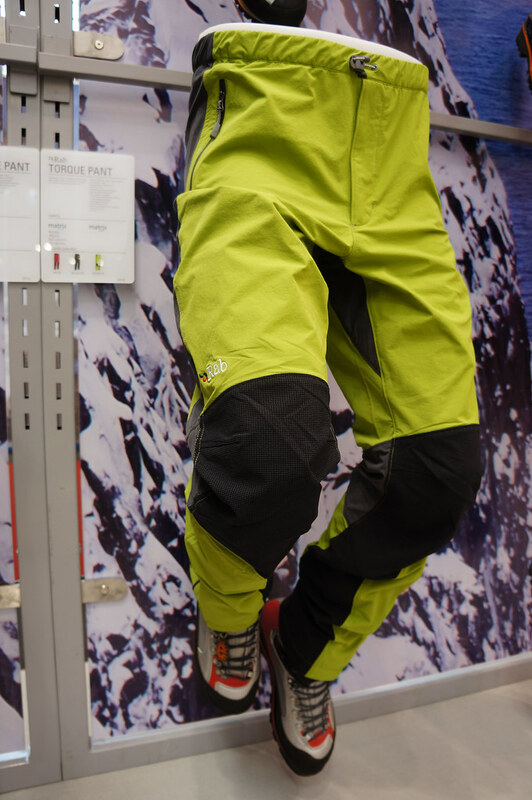 Rock climbers will also find the Torque pants with its articulated and reinforced knees of interest, which is made of the Matrix DWS fabric. Zippered pockets keep your phone, wallet and keys from falling out high up, while the wicking waistband will feel comfortable also on warm days. 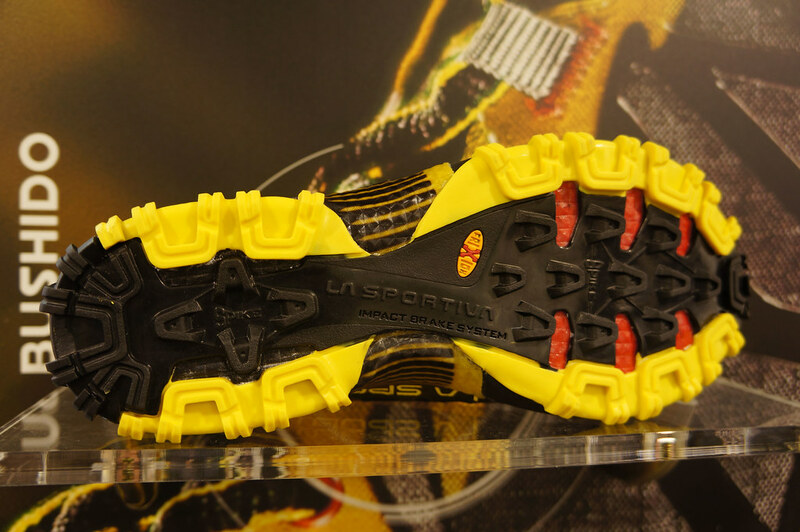 MSR is well known for driving innovation forward, and making great designs. 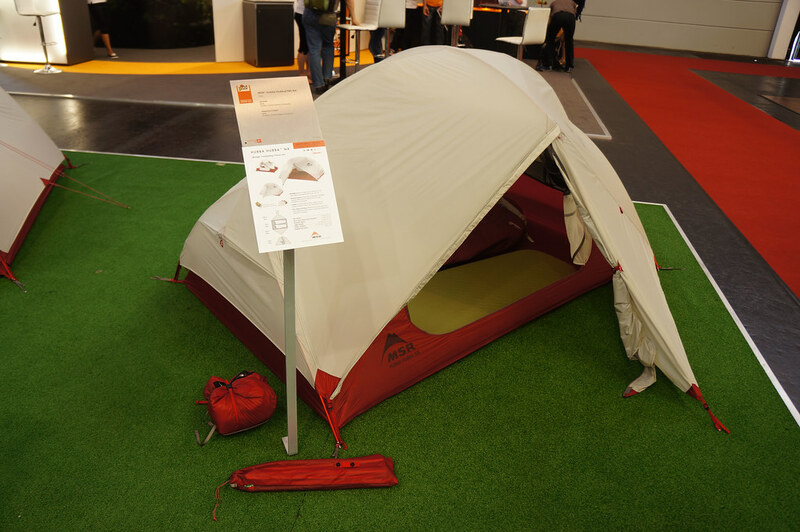 Their Hubba Hubba NX is no exception to this, and at 1,72 kg trail weight is a truly lightweight shelter for two. Two doors and two vestibules allow each inhabitant to come and go as they like, and large vents which stay take care of the ventilation. It’s free-standing, though two pegs for the door are recommended. 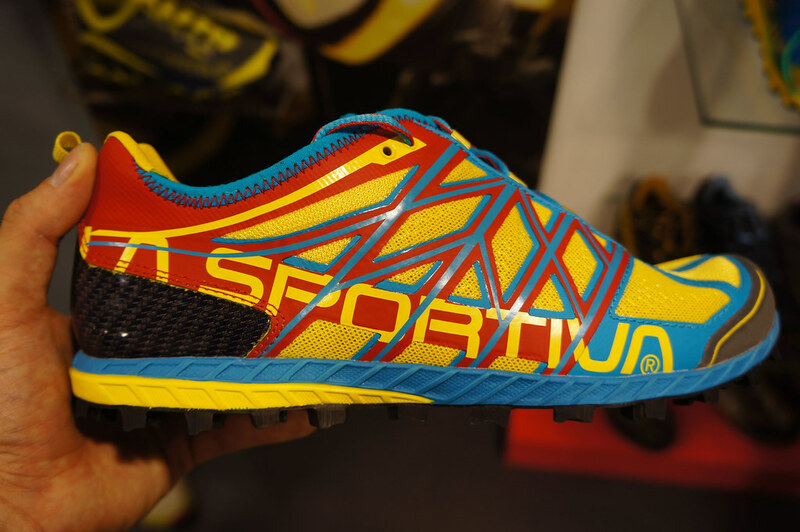 The new colour is rather stealth, too - you shouldn’t have problems pitching it on the JMT! 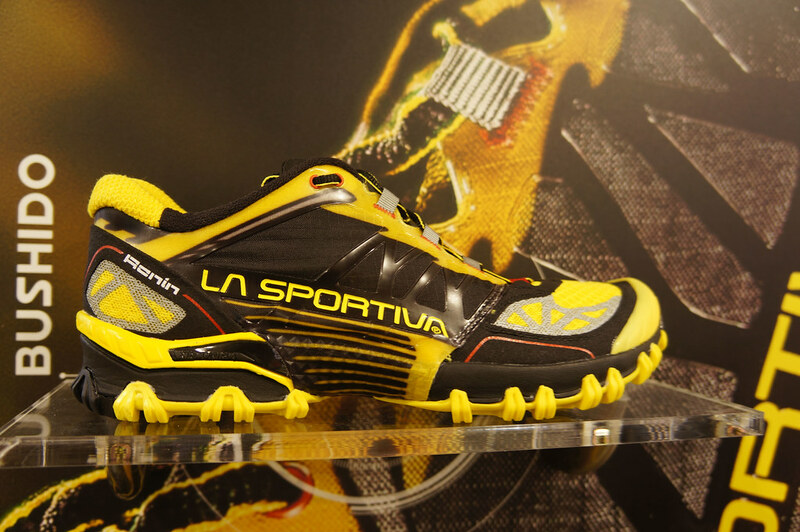 La Sportiva had a whole host of very nice news available on their booth. 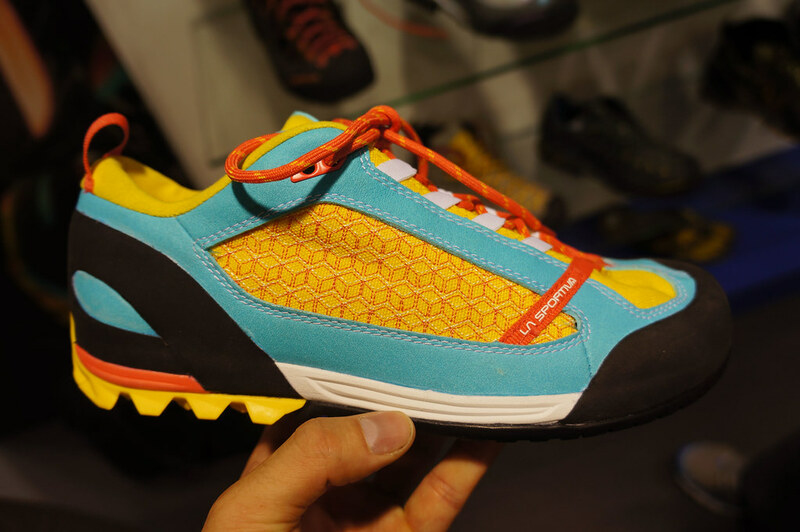 What I liked most was certainly the fresh amount of colours - their shoes, be it trailrunning, approach, casual or climbing - come in great colours, and the materials used are top notch. Their apparel line too was super nice, and I’m sure there will be many companies which will take inspiration from them in the next years. 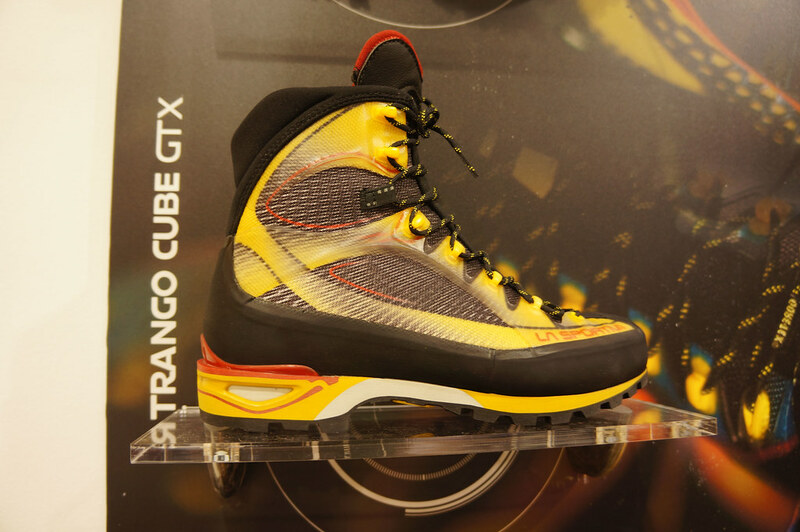 The Trango Cube won an Gold Outdoor Industry Award, and this lightweight, 675 g boot indeed did look pretty fantastic. 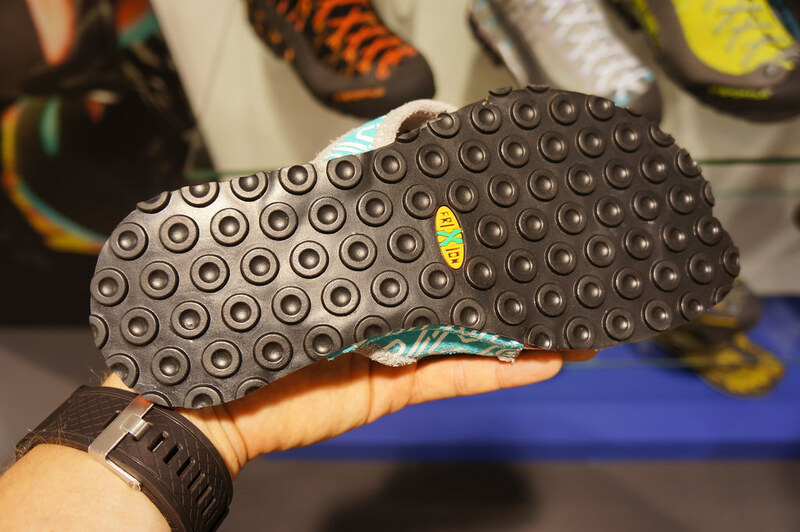 It uses Thermo Tech injection technology on the outer, which makes it highly waterproof and also keeps the lacing hooks in place, and a Gore Tex Performance Comfort membrane on the inside makes sure sweat goes out. 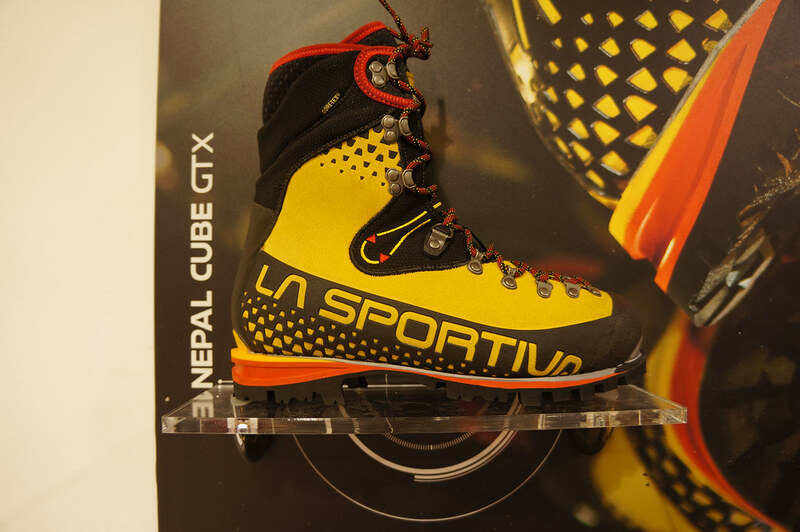 At 675 g a boot it is at the moment the lightest technical boot for mountaineering and climbing. Sweet. 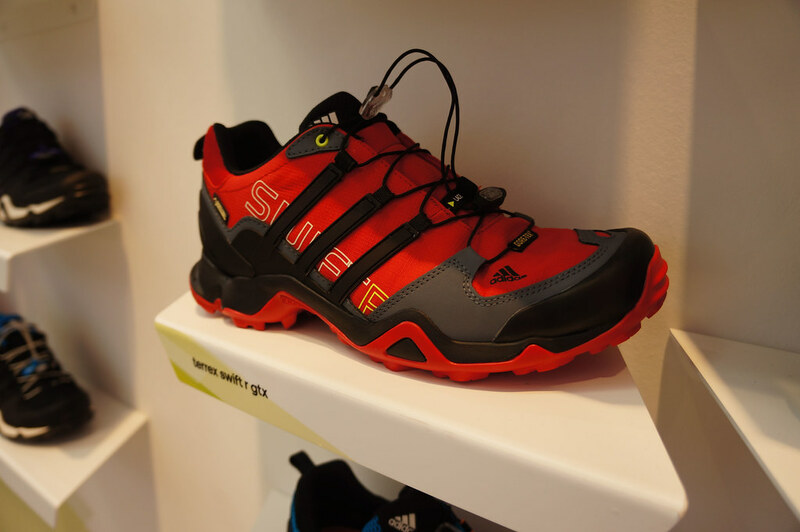 The Solution climbing shoe is machine washable and should be of very high interest for climbing gyms and people who hate smelly climbing shoes. 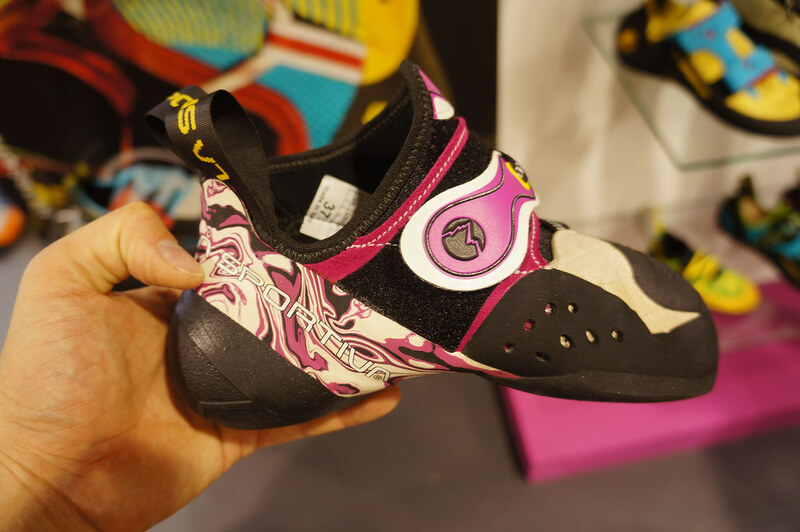 They XsGrip2 soles and a Velcro closure and could mean that in the future you no longer need to slip into sweaty, smelly rental shoes at the climbing wall when you forgot your own shoes! 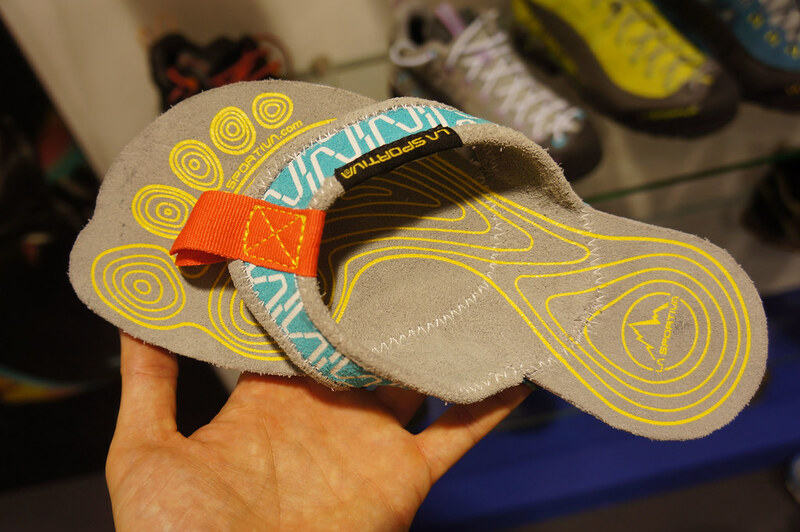 I don’t remember the name of these flip-flops, but they’re super cool with a Frixion sole which should offer good grip on the trail and in the city. They make me feel like going on a holiday in the south, too - which with the rain we currently have here certainly would be welcome!